When you intend to register as a member, you will be required to select a user name and password. If you disclose your password, you may lose your personal identification information and there may be adverse consequences against you. Therefore, if your password is compromised for whatever reason, you shall contact us immediately. When you register as a member, you will be required to provide your real name, address, nationality, telephone number and e-mail address. In addition, you may also fill in any additional information, which may include the province, city and time zone where your company is located, postal code, fax number, company website and your position in the company. We will obtain statistical data of our members via such registration information. We will use such statistical data to categorize our members, such as by age, industry or country, etc., so as to provide new services and opportunities to our members in a targeted manner. We may inform you of these new services and opportunities via your e-mail address. Some of our services require payment of fees, and we will reasonably obtain to your credit card information. We track the IP address for the authentication of identities and transactions, safety considerations and other requirements in compliance with national regulations. We also track page view data daily, which is used to reflect website traffic so that we can make plans for future development (such as increase of servers). As to other data generated from your transactions, we will use such statistical data to categorize our members, so as to provide new services and opportunities to our members in a targeted manner. We may inform you of these new services and opportunities via your e-mail address. ALLPCB.com may automatically receive and record the information on your browser and computer, including your IP address, information in the cookies of ALLPCB.com, software and hardware features, and your required web history. You may accept or refuse to accept cookies at your own discretion. You can change the browser settings to refuse to accept cookies, but we remind you that by refusing to accept cookies, you may be unable to use certain functions of our website that rely on cookies. 1. We will not provide, sell, lease, share or trade personal information of our users to or with any irrelevant third party, however, to facilitate your use of the services of ALLPCB.com and our affiliates or other entities, you agree and authorize ALLPCB.com to forward your personal information to ALLPCB’s affiliates or other entities from which you have accepted Other Services or to obtain your personal information from such affiliates or entities that provide Other Services to you. 2. You agree that we may disclose or use your personal information for the purpose of identifying and/or confirming your identity, or settling disputes, or to aid in ensuring the safety of the website and limit fraudulent, illegal or other criminal activities so as to perform our Agreement. 3. You agree that we may disclose or use your personal information for the protection of your life and property, or for preventing serious infringement of others’ legitimate rights and interests, or for the need of public interest. 4. You agree that we may disclose or use your personal information for improving and enabling our services to better suit your needs, so that you can have better usage experience when using our services. 6. If we are required to provide your information under laws or according to the requirements of the government or the right owner for identifying any suspected infringer, we will disclose your information in good faith. 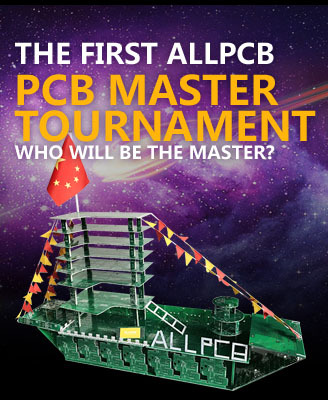 User information and data collected will be saved on the server of ALLPCB.com and/or its affiliates. This website contains links to other websites. ALLPCB.com shall not be liable in any way for the privacy protection measures of those websites. The information which is provided and posted by you will be displayed in public and is publicly available to any user. Please note that all information disclosed will become public information. Please consider it carefully before publicly disclosing your personal information. Our website has in place security measures to protect the information we possess from being lost, misused or altered. Such security measures include backing up data to other servers and encrypting user passwords. Notwithstanding the foregoing, please noteno data transmission over the internet or any wireless network can be guaranteed to be perfectly secure.